he Typewriter: a Graphic History of the Beloved Machine is a beautifully designed book dedicated to this all-but-obsolete creative companion. I've launched an entire site dedicated to The Typewriter. 150 years of history, a life-long obsession, three years in the making, 900 images, 336 pages and—at long last!—The Typewriter is at the printer. As the book hovered near completion these past few months, I didn't want to rush to the finish line. The longer I spent on creating the book, the more perfect I wanted it to be. I sent the files to the printer knowing that I put my utmost into all aspects of the book: from the design, variety of images, writing and captions and production standards. I've increased the page count, upgraded the paper quality, gone for a thicker board for the cover, created a surprise insert booklet, selected a gorgeous dark linen book cover wrap, decided on a beautiful two-toned headband, specified a gold foil stamping for the spine... In the end, all these decisions will result in the nicest quality book possible. It will be completed by July 21, but with another 6 weeks by ocean freighter from China and then customs clearances and overland transportation to fulfillment centres, it will be mailing in early September. When I began three years ago, I didn't know the project would take so long. But my intention is for this book has always been to create an encompassing and impressive tome of typewriter ephemera. So in the grand scheme of that larger history, I guess a few years of hard work isn't so much after all! With a timeline aligning with the birth of creative industries such as industrial design, “commercial art” (graphic design) and advertising, a study of the machine offers a snapshot into trends in industrial design and developments in manufacturing. 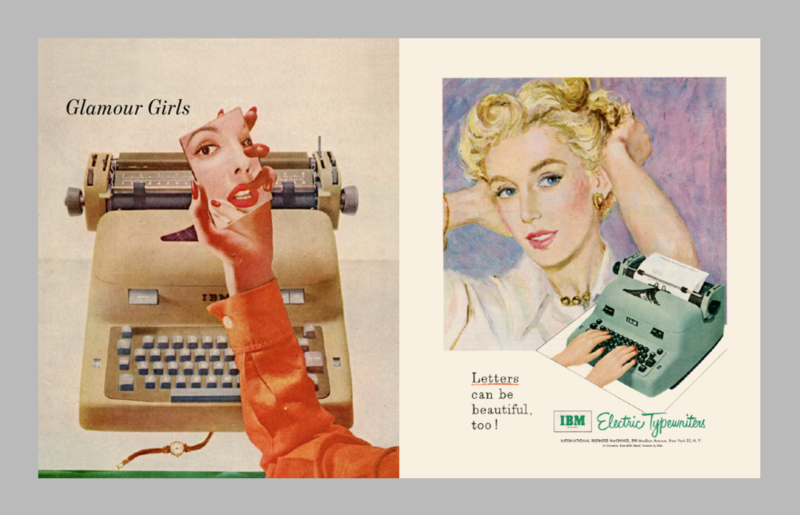 A documentation of the ephemera of typewriting—ribbon tins, manuals, advertisements, promotions—is an informative and beautiful history of modern design. The influence of the typewriter has been significant. 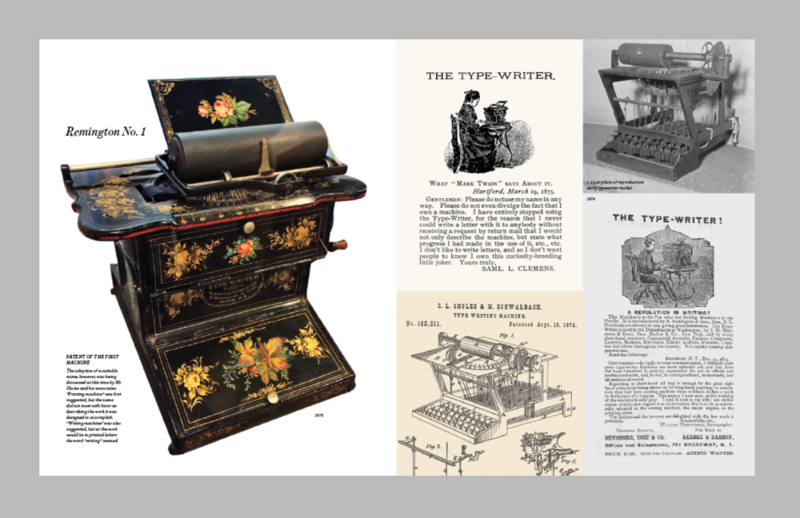 Most notably, typewriters brought women into the workforce, contributing to emancipation. Great works of literature have been composed with them. The once ubiquitous office tool has had integral roles in film, art and popular culture, elevating it to iconic status. And of course, the vestigial qwerty arrangement remains the keyboard of choice for our computers. Though its heydey has passed, the legacy of the machine lives on. Now experiencing a resurgence of appreciation—curiously from the digital generation—the typewriter is coveted as a symbol of simpler times. UPPERCASE books are known for their attention to detail, beautiful design and high production standards. The Typewriter: a Graphic History of the Beloved Machine will be a large format (9" x 11"), full colour hardcover book with over 300 pages. The large page size will allow for many actual-size reproductions of artifacts and graphics, presenting this rich visual history is the best way possible. Janine Vangool is the publisher / editor / designer of UPPERCASE, a quarterly magazine for the creative and curious. She has also developed and published many books (nine and counting) under the UPPERCASE name. Janine worked as a freelance graphic designer for a dozen years in the arts, culture and publishing sectors and has also taught typography and publication design at the college level. Her obsession with typewriters had an early beginning: when elementary school had half days, she'd spend those free afternoons happily composing letters on the typewriter in her mother's workplace (yup, she was and still is, a nerd). In 2006, Janine became an avid collector of typewriter memorabilia when she discovered the graphic beauty of typewriter ribbon tins. 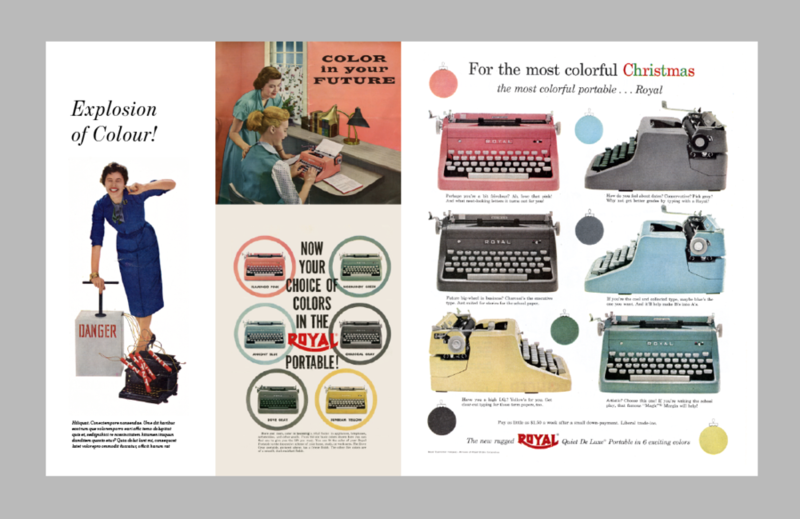 Her favourite typewriter is the Royal Quiet DeLuxe circa 1956: she has this model in turquoise, pink, red, teal and grey. One of the perks from "The Electric" level of support. Advertising mirrors were often used as promotional incentives (since they appealed to the lady typewriter). Here is an example of the UPPERCASE take on the advertising mirror (in orange) with the original Standard Remington design in red. A beautiful art deco-inspired package of typewriter carbon paper—one of the perks at "The Selectric" level. One of these Type Bar ribbon tins could be yours at "The Royal" level of support. 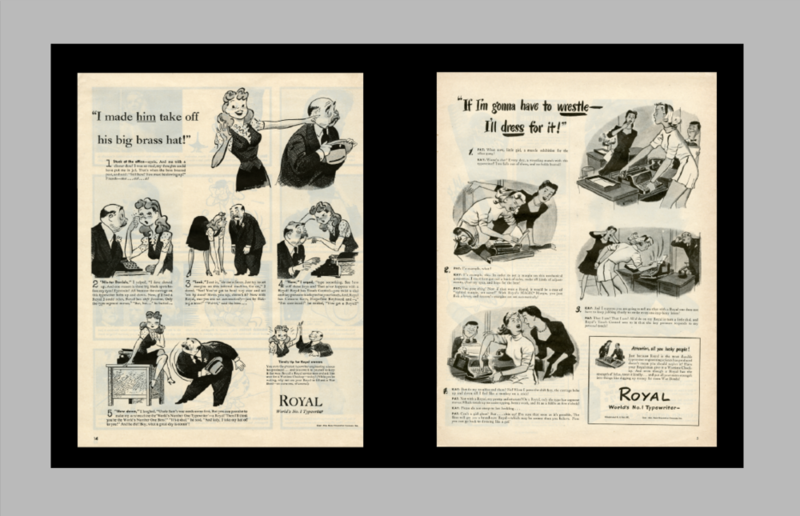 An advertisement for Royal typewriters, one of the perks at "The Premier" level. Thank you so much for your generous support of The Typewriter: a Graphic History of the Beloved Machine.